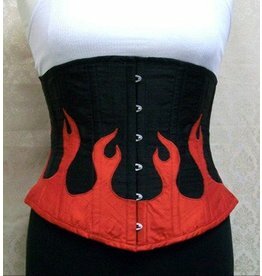 Raise some Hell in this one of a kind corset. Priced as if it was Black Satin. 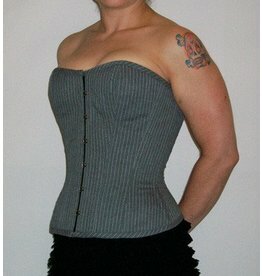 Our Baudelaire style Delicious Corset offers a beautiful Edwardian inspired shape. This floor length Corseted Dress is totally traffic stopping! This piece is made of grey denim with a yellow exposed separating zipper all the way down the front.